Lucasfilm said it had no plans to digitize Carrie Fisher in future 'Star Wars' films. LOS ANGELES, CA -- The makers of "Star Wars" have put a quick end to rumors that while Carrie Fisher has died, her Princess Leia may live on. Making a rare foray into the sprawling world of "Star Wars" speculation, Lucasfilm said Friday night that there are no plans to digitally recreate Fisher to appear in future episodes of the movie saga. "There is a rumor circulating that we would like to address," a company statement said. "We want to assure our fans that Lucasfilm has no plans to digitally recreate Carrie Fisher's performance as Princess or General Leia Organa." 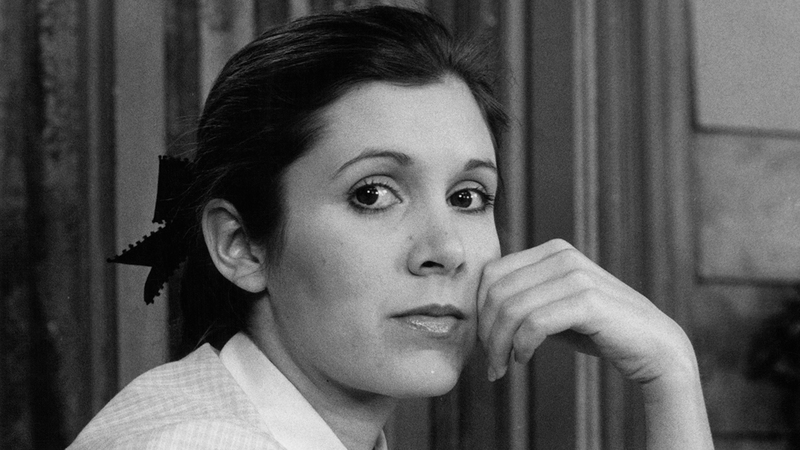 A look back at the life and career of actress and author Carrie Fisher. Fisher, who reprised her role as Leia in 2015's "Star Wars: Episode VII - The Force Awakens," had finished shooting "Star Wars: Episode VIII," due out next December, when she died Dec. 27 of cardiac arrest at age 60. Her mother Debbie Reynolds died the next day. But Fisher had also been slated to appear in "Episode IX," scheduled for release in 2019. That film is still being scripted, and the writers are deciding how to handle her death. Adding to the speculation was the brief appearance of a digitized 1977-era Fisher in "Rogue One: A Star Wars Story," which was released last month. That film also had a much larger role for a digitized version of the late Peter Cushing as Grand Moff Tarkin. The renderings of Fisher and Cushing, who died in 1994, were embraced by many fans but hated by just as many, who thought the characters looked cartoonish, distracting, or even spooky. John Knoll, the effects guru who came up with the idea of the revitalized characters, told Yahoo Movies on Friday that Fisher "loved" her appearance in "Rogue One," which consists of one short-but-significant shot, and a single word of dialogue. "She was very much in favor of it," Knoll said. But Lucasfilm insists "Episode VIII" will be Fisher's last. "Carrie Fisher was, is, and always will be a part of the Lucasfilm family," the company's statement said. "She was our princess, our general, and more importantly, our friend. We are still hurting from her loss. We cherish her memory and legacy as Princess Leia, and will always strive to honor everything she gave to "Star Wars.'"